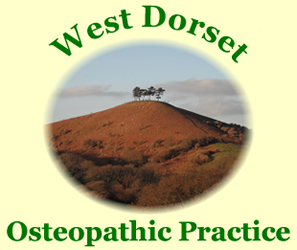 This site is the main web site for the West Dorset Osteopathic Practice and is designed and maintained by Praetorian Web Design. The colours used in this Web site are designed to work across a wide range of different computers and screen resolutions. The Web site has been designed to be visually consistent in a variety of different browsing software. Enhancements have been added which may appear in only the newer browsers (such as Internet Explorer 11). Where ever possible, interactivity has been introduced into the site to enhance your visit. Care has been taken to ensure that this doesn't exclude those with older technology or software from viewing the site. We welcome feedback from users of other modern browser software, particularly if you find something that does not work.